Conservation easement review appraisals are necessary to take advantage of the tax benefits of an easement without taking on any additional risks. With the help of experienced professionals, individuals can realize the full benefits of these and other property-based tax incentives. Setting land aside for conservation purposes helps the environment and can save individuals a significant amount of income taxes. The biggest challenge is getting an accurate appraisal on the value of the easement. The IRS takes the qualifications seriously, and as with many programs, might want an appraisal reviewed by a qualified professional to justify a sizeable tax deduction. Even for those with relevant experience, this is not a DIY job. Overestimating the value of a conservation easement can result in significant fines. For those who purposefully defraud the government, prosecution comes into play. The easiest way to avoid these situations is to hire a fair and knowledgeable third-party consultant to perform an appraisal review. Who Should Review Appraisals for Conservation Easements? While there are courses available online for all types of appraisal review processes, experience is the best teacher. Someone capable of appraising a property might not have the skills or knowledge needed to review someone else’s work. Someone new to the industry will struggle to meet the basic qualifications for evaluating a property, let alone determine whether another appraisal professional performed their due diligence. Depending on an appraiser’s level of specialization, it is best that an appraisal reviewer have 10 or more years of direct experience with the type of property under evaluation. Some land trusts have their own easement appraisal reviewers on staff. Others don’t want to take on the risk of an inaccurate review or valuation. Other groups simply want a formal review process by a third party to rule out any conflict of interest. Individuals seeking to enter into a conservation easement might also contract for an appraisal review, either due to the terms of the land trust they are using or to ensure they are operating in the confines of the law. 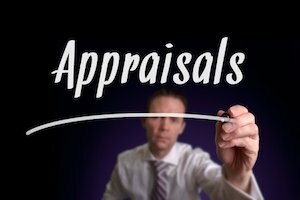 What Should the Appraisal Review Determine? The Uniform Standards of Professional Appraisal Practice (USPAP) sets forth various standards for appraisals. These guidelines also set standards for reviews. Standard 1 and Standard 2 set the requirements for appraisals while Standard 3 relates specifically to appraisal reviews. This is important because instead of re-appraising a property, the review looks only at the original document. An appraisal reviewer will determine whether the relevant guidelines in Standard 1 or Standard 2. A typical review will not confirm the value of the property, but will only confirm whether or not the value reported is likely to be accurate based on the information contained in the appraisal. For instance, the reviewer will assess the methodology used in the original appraisal. The reviewer will look for supporting evidence or lack thereof, will look for inconsistencies and gaps in logic and overall flow of the report. In addition, the reviewer will make notes on spelling and grammatical errors and the formation of the appraisal report. Obviously, this requires in-depth knowledge of the type of property assessed. Reviewers must know the pitfalls to look out for and how common mistakes occur in reports, as well as the industry’s accepted policies and procedures. What Protection Does an Easement Appraisal Review Provide? When individuals enroll in a conservation easement, they donate their property development rights. The difference between the value of the property today and what it would be if development took place can amount to tax deductions worth hundreds of thousands of dollars. This is obviously money you don’t want to leave on the table. Farmers tap into easements to keep their operations profitable or to preserve tracks of land for their children. Preservationists take advantage of these programs to prevent big developers from tearing down buildings of historical importance. All kinds of property owners have been able to use these programs to offset hefty taxes and save their money for other profit-earning activities. Problems occur when overstating that difference in value. Mistakes can result in severe fines, due taxes and interest on money owed – not to mention charges in cases where fraud was obvious. Landowners shouldn’t have to forgo the massive benefits of conservation easement due to concerns over valuation. And they don’t have to. An appraisal review provides all the players involved with an extra layer of protection should any concerns arise. Do you still have questions or need more clarification regarding your personal situation and how conservation easement review appraisals can help? Contact our friendly team of experts at Global Valuation today for all your easement questions and concerns.